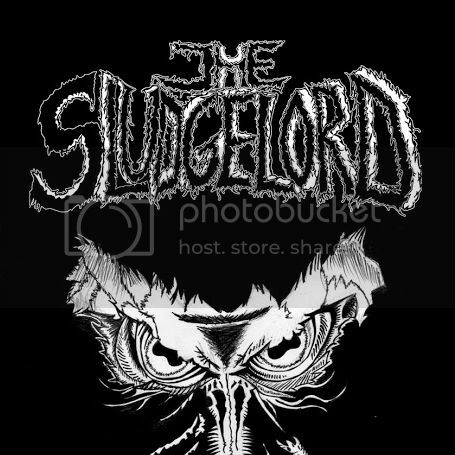 What can you do when your main band, the project to which you are attached, have a record deal with, tour with, and lead a legion of fans with, is put on hold? It would be a crime for the members of Draconian to sit around, playing Facebook games and reading up on their British literature while new vocalist Heike Langhans arranges her affairs, and relocates to Sweden from her home in South Africa. It has been a long and arduous process, one that has taken far longer than any band could anticipate. But in the meantime, there are other things to do, including a handful of side projects that have arisen. 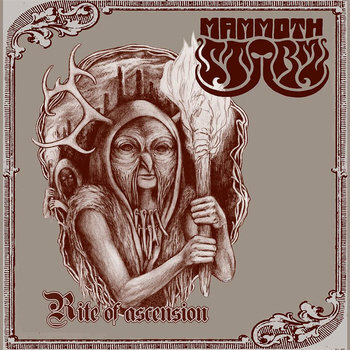 Guitarist Daniel Arvidsson has taken the giant leap away from the Draconian sound on his project, the aptly titled Mammoth Storm, a sludgy stoner metal band which features Arvidsson himself on bass and vocalist. With one demo released, and nothing but time to kill, the three piece from Sweden has prepped and released their newest disc, the two track EP titled "Rite Of Ascension," a murky, distorted collection of riffs, screams, and beats unlike anything his bandmates would have expected. For fans of Draconian, it is important to note at the onset that this isn't that band; in fact, it isn't even in the same ballpark. The heavy, droning riffs of the title track are down tempo and groove laden, bolstered by a booming drum kit that, while restrained, is not short on powerful blasts. Arvidsson's voice fits the bill to a T, imperfect in tone, but perfect in his handling of the backing instrumental. The slow stomp of guitar, bass, and drum can wear you down, but when the insertion of a melodic riff comes along, it adds a different dimension to the track. But don't be misled; this is an oily, black tar coated piece of work that is rooted more in it's weight than its versatility. The second half of the EP, the nearly thirteen minute Obscure Horizon has a haunting, horror soundtrack vibe to the early movements, transporting you to a dungeon from which you are unlikely to escape. The rattling distortion is enough to loosen the snow on your roof and free the icicles from their perch. 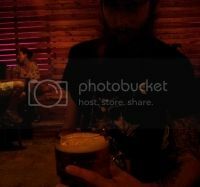 But in between dense chugging and reverberating passages, there is a vast void where little else is happening. Vocals, small tempo shifts, and barely detectable tone changes are left to pad out a full seven minutes here. Branching out of your comfort zone is always encouraged; some of the best bands you will find today began as side projects. Arvidsson has certainly done that here, leaving the sound and strength of Draconian for another day, while harnessing something else entirely for this project. Mammoth Storm isn't the opposite end of the spectrum (What would that be, exactly? Yanni?) but it is a great departure from the driving riffs and dual vocals of one of the most popular death/doom titans on the planet. But for a stoner doom record, "Rite Of Ascension" succeeds in a number of ways. It manages to make the most of a small sample size, giving you a pretty good idea of what a full length album would amount to. If there is anything to be shaky on here it remains the intimidatingly long track lengths, as the entire duration is spent playing off of one main riff and drum beat. This may not be a detriment to the enjoyment of this album or any other, but it something that must be considered when dealing with the evolution and growth of this band. Two tracks, topping nearly twenty five can't be the pattern to follow from here.